Adjust a class name after the class has started. Go to the "Class Administration" tab. 2. Choose "Settings" from the left navigation. 3. 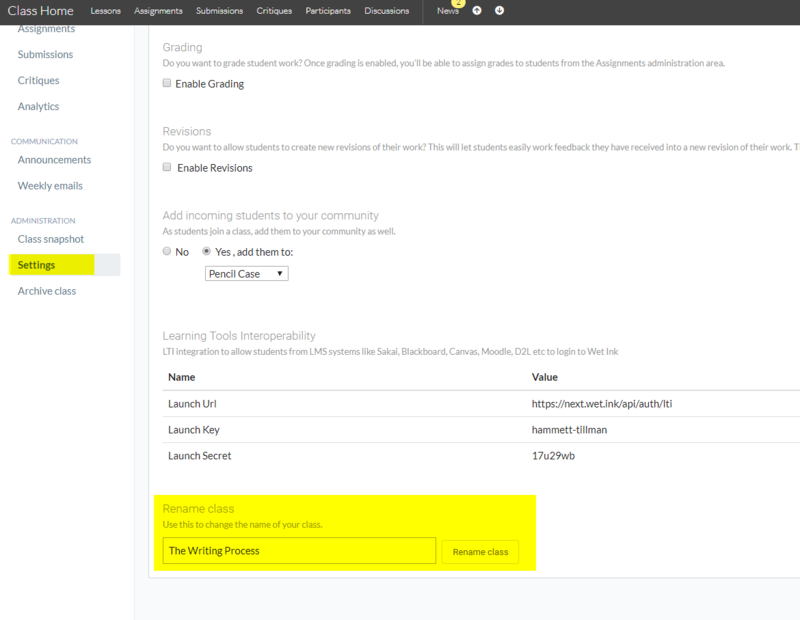 Update the class name and then click "Rename"
Please note that this will not change existing Newsfeed or Notification items. It will change the name of your class going forward.